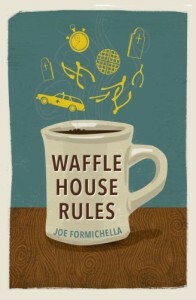 I just finished reading Joe Formichella’s wonderful book, Waffle House Rules. 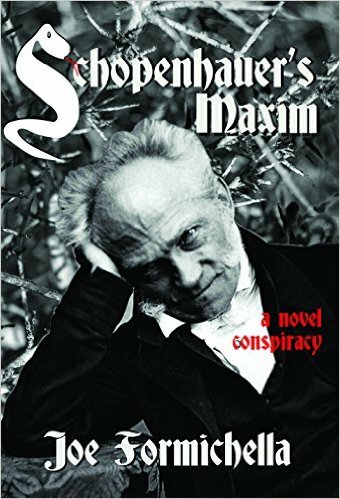 I’ll be hosting Joe and his wife, the author Suzanne Hudson, for a literary salon in October, and I suddenly remembered that I never read this book from 2014. What a jewel of rich Southern fiction and exemplary writing! First of all, it’s set in one of my favorite places—the eastern shore of the Mobile Bay, mostly in the towns of Fairhope and “Penelope” (which I take to be a fictionalized version of Daphne) Alabama. This intrigued me because I visited Daphne many summers in the 1950s and ’60s with my best friend’s family. They had a house on the Mobile Bay, so those vacations are filled with great memories of crabbing and boating and skiing and all-night poker games. Fast forward fifty years and there I am again, visiting the area for literary events and making friends with the good folks of Daphne, Montrose, Fairhope, and Waterhole Branch, where Joe and Suzanne live on the Fish River. 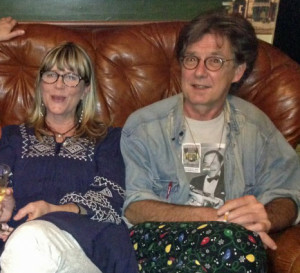 I first met Joe and Suzanne in 2008 during the magical weekend known as Southern Writers Reading, which culminated in a lovely Sunday brunch at their home before driving back to Memphis. I learned more about Fairhope and knew I would be returning many times. Southern from the top of its head to the tip of its toes, this book feels like home. It is a beautiful Sherwood Anderson-esque look into the life and times of those living in Penelope, Alabama. The subject matter was southern enough, but the style was the most enchantingly southern part of this thoughtfully-crafted story. The story moves from dialogue to narrative to an entirely different conversation as seamlessly as your grandma did at a church potluck. I haven’t had so much fun with a novel since I first read Slaughterhouse Five. Formichella’s iconic Dr. Jimmy Ryan is unforgettable, and his hilarious tale is tinged with the same poignancy as the best Vonnegut; the reader is constantly coming upon moments in the humor that signal deeper significances. Waffle House Rules is innovative, original, complex, yet always accessible and a delight to read. This brilliant and luminous novel is like one character’s smile: it makes the grass grow. A Condition of Freedom (which I reviewed here) is about the legendary Prichard Mohawks. Murder Creek (nonfiction/true crime) is an award-winning book about the mysterious 1966 death of Annie Jean Barnes, a resident of East Brewton, Alabama, the “wrong side” of Murder Creek. I can’t wait to visit with Joe and Suzanne next month. Watch for my review of Suzanne’s book, All the Way to Memphis, soon!